A War of Nerves is a history of military psychiatry in the twentieth century—an authoritative, accessible account drawing on a vast range of diaries, interviews, medical papers, and official records, from doctors as well as ordinary soldiers. 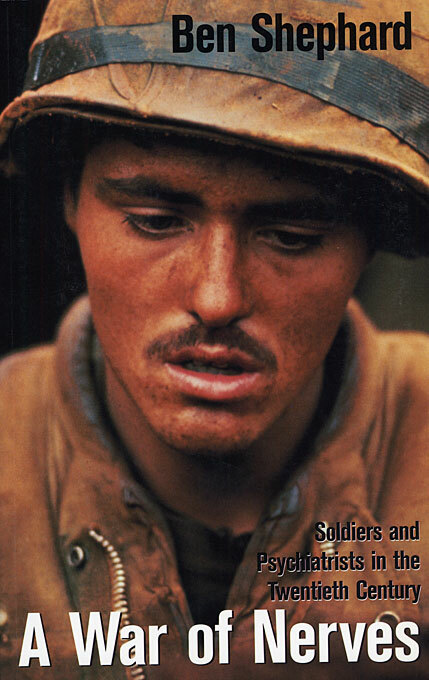 It reaches back to the moment when the technologies of modern warfare and the disciplines of psychological medicine first confronted each other on the Western Front, and traces their uneasy relationship through the eras of shell-shock, combat fatigue, and post-traumatic stress disorder. At once absorbing historical narrative and intellectual detective story, A War of Nerves weaves together the literary, medical, and military lore to give us a fascinating history of war neuroses and their treatment, from the World Wars through Vietnam and up to the Gulf War. Ben Shephard answers recurring questions about the effects of war. Why do some men crack and others not? Are the limits of resistance determined by character, heredity, upbringing, ideology, or simple biochemistry? Military psychiatry has long been shrouded in misconception, and haunted by the competing demands of battle and of recovery. Now, for the first time, we have a definitive history of this vital art and science, which illuminates the bumpy efforts to understand the ravages of war on the human mind, and points towards the true lessons to be learned from treating the aftermath of war.